In this detailed Resource page, we feature an abundance of Java Design Patterns Tutorials! Design pattern is a general, reusable solution to a commonly occurring problem within a given context in software design. It is not a finished design that can be transformed directly into source or machine code. It is a description or template for how to solve a problem that can be used in many different situations. Design patterns are formalized best practices that the programmer can use to solve common problems when designing an application or system. Design patterns gained popularity in computer science after the book Design Patterns: Elements of Reusable Object-Oriented Software was published in 1994 by the so-called “Gang of Four” (Gamma et al. ), which is frequently abbreviated as “GoF”. That same year, the first Pattern Languages of Programming Conference was held, and the following year the Portland Pattern Repository was set up for documentation of design patterns. The scope of the term remains a matter of dispute. Design patterns can speed up the development process by providing tested, proven development paradigms. Effective software design requires considering issues that may not become visible until later in the implementation. Freshly written code can often have hidden subtle issues that take time to be detected, issues that sometimes can cause major problems down the road. Reusing design patterns helps to prevent such subtle issues and it also improves code readability for coders and architects who are familiar with the patterns. Design patterns are composed of several sections (see § Documentation below). Of particular interest are the Structure, Participants, and Collaboration sections. These sections describe a design motif: a prototypical micro-architecture that developers copy and adapt to their particular designs to solve the recurrent problem described by the design pattern. A micro-architecture is a set of program constituents (e.g., classes, methods…) and their relationships. Developers use the design pattern by introducing in their designs this prototypical micro-architecture, which means that micro-architectures in their designs will have structure and organization similar to the chosen design motif. Efforts have also been made to codify design patterns in particular domains, including use of existing design patterns as well as domain specific design patterns. Examples include user interface design patterns, information visualization, secure design, “secure usability”, Web design and business model design. The annual Pattern Languages of Programming Conference proceedings include many examples of domain-specific patterns. If you wish to build up your Java Design Patterns knowledge first, check out our Java Design Patterns Tutorial. Sometimes it’s necessary to record the internal state of an object. This is required when implementing checkpoints and “undo” mechanisms that let users back out of tentative operations or recover from errors. You must save state information somewhere, so that you can restore objects to their previous conditions. But objects normally encapsulate some or all of their state, making it inaccessible to other objects and impossible to save externally. In this post, we feature a comprehensive Tutorial on Java Singleton Design Pattern. Design Patterns in Java are incredibly popular among the software developers. One of the most common interview questions is the Singleton Design Pattern. So in this tutorial, I’ll summarize the best practices which will help developers dodge general issues and develop better applications. In this article we will discuss one of the numerous Java Design Patterns – The Java Observer Design pattern which is being used popularly in a variety of messaging and notification frameworks. The Observer design pattern is a typical way of managing communication between multiple classes. In a massive Java application developed for a large organization, often it ends up hard to oversee and comprehend the code. With a fluctuating profile of designers taking a shot at a similar task, it is essential that the code being produced is justifiable by new engineers that join the undertaking. In a large scale Java application built for enterprises, at times it becomes difficult to manage and understand the code. With a varying profile of developers working on the same project, it is necessary that the code being developed is understandable by new developers that join the project. In a large scale Java application built for enterprises, there are certain pre-defined coding standards and structures to be followed. These standards and structures assist in development of a code that is organised and easily manageable. In an enterprise application, it is extremely important to manage the code base so that the redundancy is reduced. Moreover, in order to make code manageable, we also need to take care that the classes are structured and connected so that the generic code is not repeated in multiple classes. A design pattern in Java is a defined implementation pattern for developing classes and objects. A design pattern provided the base to develop an architecture that reduces redundancy in the code and improves the manageability. Mediator design pattern is one of the design pattern that is mainly used to handle complex communications between related objects. This design pattern act as a mediator or middleman between two communicating objects. In real world proxy means representative or on behalf of or in place of are exact synonyms of proxy. In Simple words, proxy means an object representing another object. According to this, we can do many operations like encapsulating the essential information of original object, on demand loading etc. This design pattern is a classification of behavioural design patterns. The pattern is a explanation, used and tested solution for a recognised issue. Design patterns are used more than once. Software design patterns developed as a area of study only when object oriented programming came into existence. This design pattern in Java is a type of Creational design pattern and it is used to create objects, similar to the Factory design pattern, which is also a Creational design pattern. In simple words, Builder design pattern is a creational design pattern it means its solves the problem related to creation of object. In Factory Method design pattern, we develop objects but without revealing the logic or functionality of creation to the users and use a common interface to refer to newly created object. Abstract Factory design pattern is specifically useful to build a class that explains how the underlying factory classes should work. The abstract factory pattern defines a specific set of methods that the object provider factories need to implement. In Java, the creation of objects is an expensive job in terms of the processing power being consumed. In case of web applications, a badly designed application normally creates a new object of every involved class for every new request coming in. Memento design pattern is one of behavioural design patterns. Memento design pattern is mostly used when we like to save an object’s condition so that we can restore it later. Let us look deeply into what objects are. In this post, we will discuss and elobarate the java template design pattern in detail. Java Template design pattern is one of the important behavioral design pattern. Template design pattern describes algorithm steps and can provide default implementations common to most or all of the subclasses. This article is about a Java EE Observer Design Pattern Example. The observer pattern is one of the most widely used design pattern in programming. 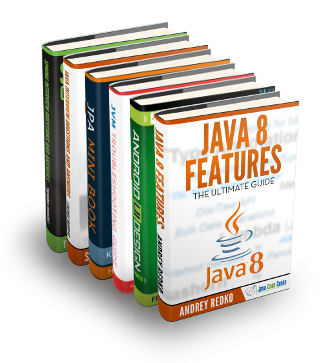 It is implemented in the java.util package of Java SE 8 as Observer and Observable. By extending these classes, we can easily implement the observer pattern. But this article is not about that. We will focus on the Java EE implementation of the observer pattern. In this article, we will introduce java state design pattern in detail. The java State design pattern is one of the behavioural design pattern. When an object changes its behavior based on its internal state, the State design pattern is used. So, we create objects in a State design pattern that represent different states and a context object, the behavior of which varies when the state object changes. In this article, we will elaborate java Strategy design pattern in detail which is one of the important behavioral design pattern. The Strategy design pattern is also referred to as a policy pattern which allows the selection of an algorithm at runtime as needed. We define several algorithms or strategies in the java strategy design pattern and choose one by the user as per his or her requirement.